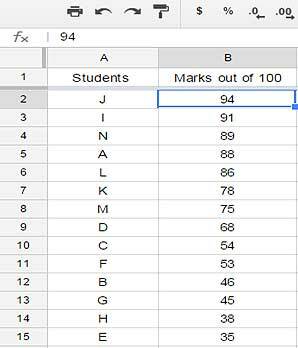 We are sure that after reading our previous article, you are through with the Basics of Google Spreadsheets. In this article, we bring to you some more important aspects of Google Spreadsheets. 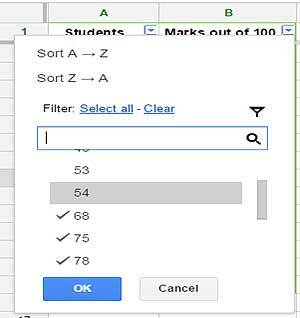 After filling the data in the spreadsheet, sometimes you may wish to re-organize it and that is where sorting feature helps. Sorting helps you to change the order of your data. How to Sort the data in Google spreadsheets? 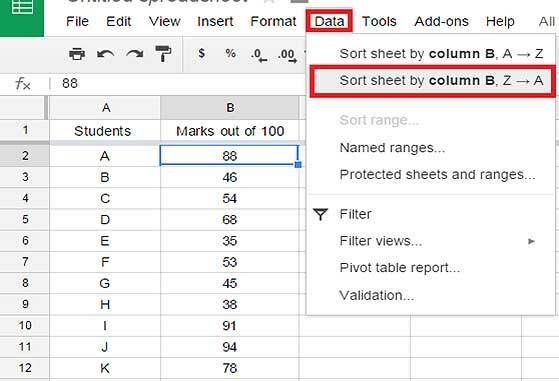 Step 1: While sorting the data in a sheet, there may be some rows or columns that you may want unchanged. 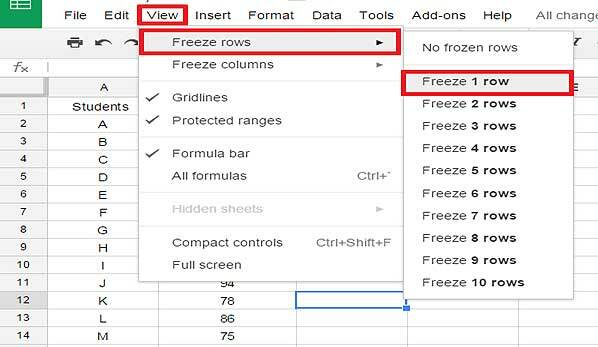 To keep the rows or columns unchanged freeze them. Like in the image below we are freezing the 1st row. Step 2: The header row freezes. Now select any cell from the column that needs to be sorted. 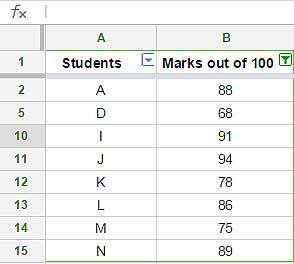 In our example, we shall sort the Marks column in descending order to know which student has scored more. Step 3: Click on Data from the ribbon and select sort sheet by column A-Z for ascending order or select Sort sheet by Column Z-A for descending. Step 4: You will see that your data has been sorted. Applying the filters in your data can bring a lot of ease and convenience. It will help you to display only the data that interests you. How to Filter data in Google Spreadsheets? Step 2: A Dropdown shall appear in each of the header. Step 3: Click on the dropdown of the column which requires filtering. You will see that a new dialog box has appeared which consists of checklist. Step 4: Select the data that you wish to display. 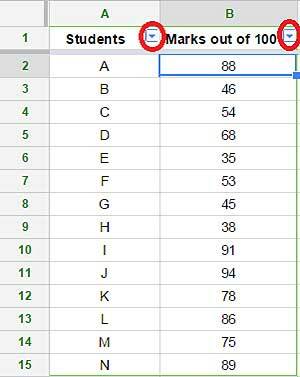 In our example we have selected marks that are above 60. 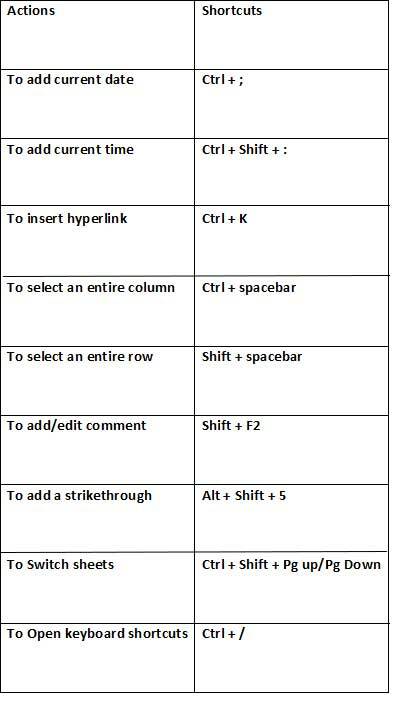 We hope that these tips will help you in using Google spreadsheets in an easier way. You can share your views with us in the comments box below. Next Project Management: What can you learn from Project Failure?